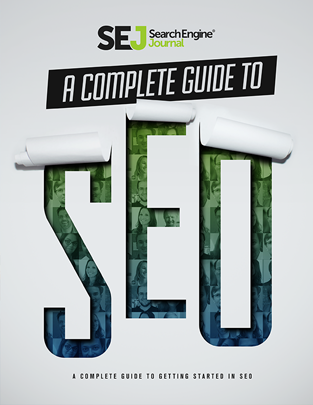 Search Engine Journal’s ebook, A Complete Guide to SEO, provides an extensive overview of everything you need to know to be successful at search engine optimization today. SEO is a fast-paced and dynamic field. It can also sometimes be frustrating, especially if you’re relying on outdated tactics that no longer work. That’s why it’s crucial for you to stay well-informed and learn continuously. SEO is also more complex than ever in 2019. It takes more than just building links, creating any old content, and adding a few keywords to improve your organic search rankings and increase the visibility of your business or brand. Emerging trends (e.g., voice search). Technological advancements (e.g., machine learning). Your audience (e.g., how they behave and what they want). So how do you develop an SEO strategy to dominate your competition in Google and other search engines? Because, ultimately, SEO isn’t only about being found on search engines and driving traffic to your website. It’s about providing a great experience and generating leads and revenue. This guide to SEO will get you started. With the help of some of today’s top SEO authorities and experts, A Complete Guide to SEO will explain everything you need to know about today’s most important SEO components. You can either download our ebook by filling out the form below, or read all the chapters right now. We’ve split our SEO guide into 18 easy-to-digest chapters, so you can read it from start to finish, or just head straight to the topic you want to learn more about. Ready? Your journey through SEO in 2019 begins now! P.S. : If you’re just getting started, make sure to read SEO for Beginners: A Complete Guide to Search Engine Optimization Basics. 7.Top 7 Ranking Signals: What REALLY Matters?